I got this great little travel adaptor set for a recent trip to New Zealand and Australia. Since I love small things, small boxes, and things that fit nicely into small boxes, it is basically designed for me to love it! Also, it worked really well. The plugs in Australia and New Zealand are basically the same as in the US, except instead of being parallel, the two prongs are angled in toward each other. In many sets, the prongs just rotate. One note is that you do have to push a little hard to get the plug into the back of the adaptor. It was a little startling how hard I had to push the first time I used it. The one downside to this adorable little set is that it is a little bulky. Depending on the socket arrangement, it is entirely possible that it would block access to other nearby sockets, but since I only had the one adaptor, that was never really an issue for me. You can buy it at REI. 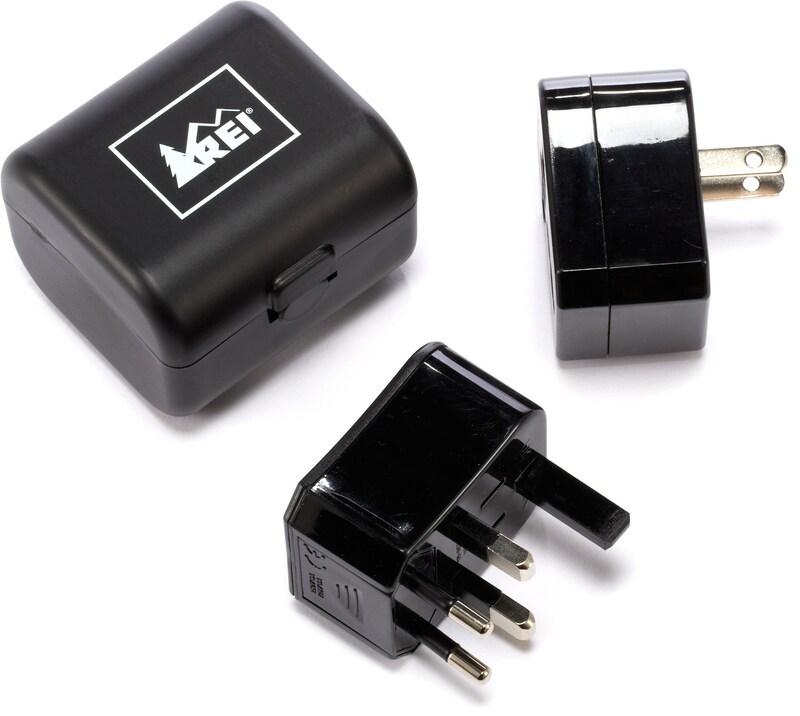 In their travel recommendations, The Wirecutter recommends the Ceptics Travel Adaptor Set. I am more dubious about this set since it seems like you are carrying around a giant jumble of stuff, or you have to carefully pick out only the ones you need (which, if you are like me, and like to be prepared for EVERYTHING and also unsure of how some of this international travel stuff works, seems stressful). But, in general, I think the Wirecutter has good recommendations, so you can check that out too.